(Bloomberg) — “Ramaphoria” boosted the rand and revived investor sentiment on South Africa. But deep underground in the country’s platinum mines, there’s very little cause for optimism. Further losses in the platinum sector, a top export earner, will add to pressure on President Cyril Ramaphosa as he seeks to kick start an economy that’s currently projected to grow just 1.5 percent this year and drive down a 27 percent unemployment rate. The domestic platinum industry generated about $8 billion in sales last year and employed more than 175,000 people, according to the Chamber of Mines, which represents most mining companies. Across the industry, the cuts are piling up. 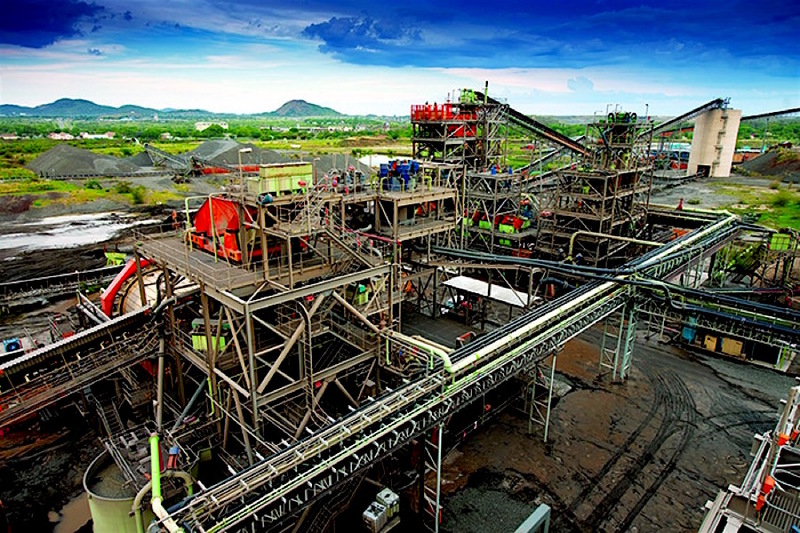 Impala Platinum Holdings Ltd. shut a shaft at its Rustenburg operation in January, flagged three more to be closed once mined out and fired 1,400 workers. The miner has closed 10 shafts since 2013. Rival Lonmin Plc burned through a third of its cash last quarter and could cut more than 12,000 jobs over three years, while top producer Anglo American Platinum Ltd. has a spending freeze in place on major new developments. A lot of the industry’s most immediate problems are linked to the rand, which has strengthened by about 15 percent against the dollar in the past six months. The rand rose 1.1 percent Monday morning, after Moody’s Investors Service left the country’s credit rating at investment grade and lifted the outlook to stable. That’s bad for platinum miners, which get paid in dollars, but pay most of their costs in rand. In rand terms, platinum is down more than 15 percent since mid-November. While the rand has made things worse, the industry also faces more fundamental challenges. Prices are about 60 percent below record highs set a decade ago, and have bobbed along in a narrow range for the last two years. The market balance may improve this year, as the South African cuts take effect. The World Platinum Investment Council, an industry lobby group funded by the miners, forecasts flat demand in 2018, after a 7 percent decline last year, while mine supply is forecast to decline 4 percent this year. Lower prices could also have a silver lining, by making the metal more attractive for use in other applications, according to the WPIC. There’s some anecdotal evidence of U.S. carmakers testing the metal in cars that run on gasoline. In the longer term, demand for platinum is likely to dwindle as consumers shift to electric vehicles. That could lead to a further $600 an ounce drop by 2040, according to ABN Amro Bank NV. Spot platinum traded at $949.18 per ounce at 8:21 a.m. in London.